Home Color Ideas	Wedding Color Palettes for Fall! 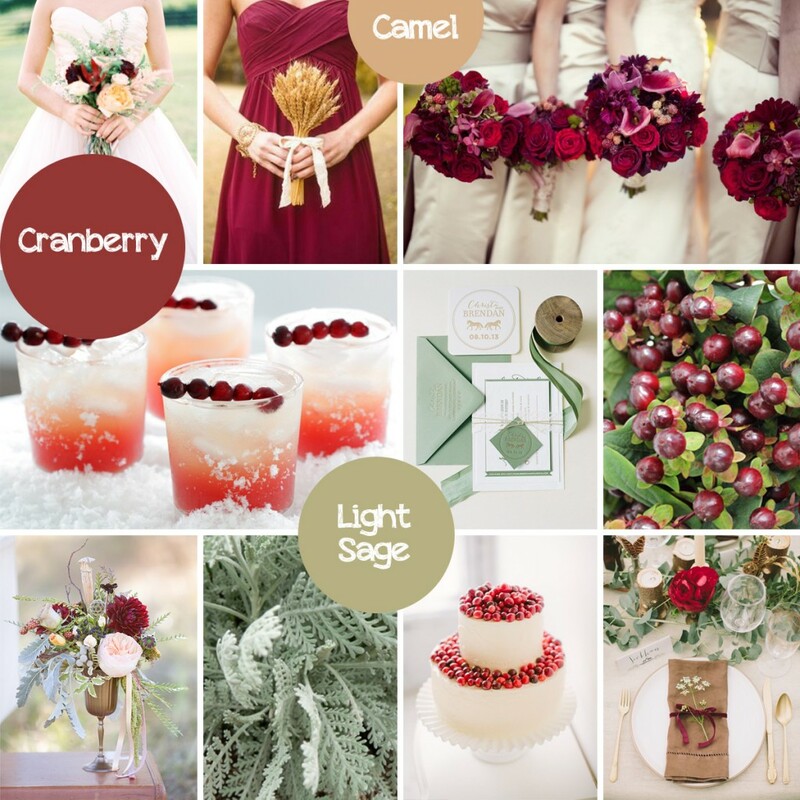 Chrissy recently named her Top 10 Wedding Colors for Fall 2014…and I am in LOVE! Look for Fall to bring richer, deeper, more saturated color… Colors like Cranberry, Bronze, Navy Blue and Pumpkin, just to name a few. Read on to check out two of my favorite wedding color combos from Chrissy’s Top Ten, (come back tomorrow to see two more! ), then be sure to check out her full list on The Perfect Palette! From Fall through Winter, you can count on Cranberry! I love it paired with a warm neutral, like Camel (or Bronze), or a soft Light Sage Green, or both. When paired with these softer colors, the cranberry really pops, but still feels warm and inviting, which is perfect for a Fall Affair! Blue is always a favorite in the wedding world, perhaps because it is so versatile and perfect for the Something Blue Tradition! 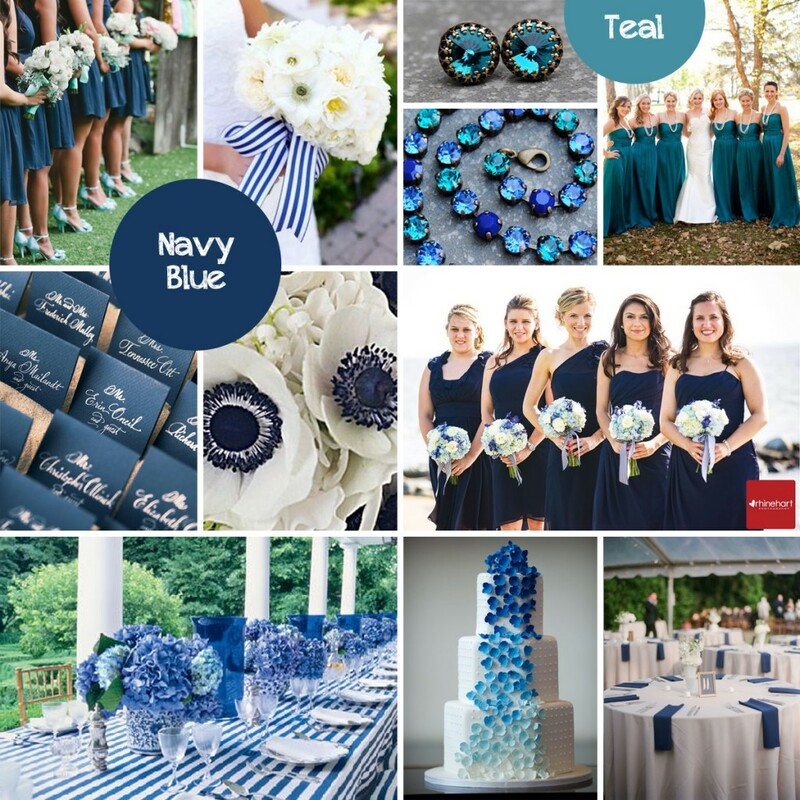 My favorite way to see wedding blues…paired together with other shades of the same hue. From Light Blue, to Navy Blue, Teal Blue, to Turquoise Blue, there’s so many options, but look for the deep jewel tones to really shine this Fall. Hope you enjoyed my first two Fall Color Palette Inspirations based off of the Perfect Palette’s Top Ten Wedding Colors for Fall 2014! Come back tomorrow to see two more! And in the mean-time, be sure to check out all 10 Wedding Colors for Fall on The Perfect Palette. Featured FiftyFlowers Review: Red, White and Thrilled!